It was a busy week at Alpaca Evolution. We attended to the mani pedi needs of some 700 alpacas as well as administering their vaccinations and a dose of wormer. To ensure we could get through the numbers in a timely fashion we enlisted the help of the very able Kirsty Wilde who took the various “personalities” in her stride!! We took the opportunity to body score and assess the females groups, ensuring that the “old timers” and any showing signs of loss of condition were pulled off to a TLC group for the winter. As we are starting the whole herd on covexin 10 we are now steeling ourselves for round two in about 4 weeks!! Of course the highlight of the week was bringing through the 2017 babies. It had been two weeks since their last weigh in and we were all eager to see how they were doing. The news was good with some almighty gains under their belts. Best of all the 5 (out of 120) who had been slowing down the previous fortnight were back on track following their treatment….phew! In addition to the weigh in we also took a quick peak at the fleeces…of course! It is exciting to see how they are developing and changing, we kicked ourselves more than once for having changed the breeding on a female! Due to a variety of reasons last year we decided it was not in the best interests of all the girls to be carrying pregnancies so we opted only to breed the maidens and the best of the younger herd with just a couple of exceptions. This meant that the older females (10+) and any who find life a little more challenging could focus on dealing with their own well being during what had the potential to be a time of stress. 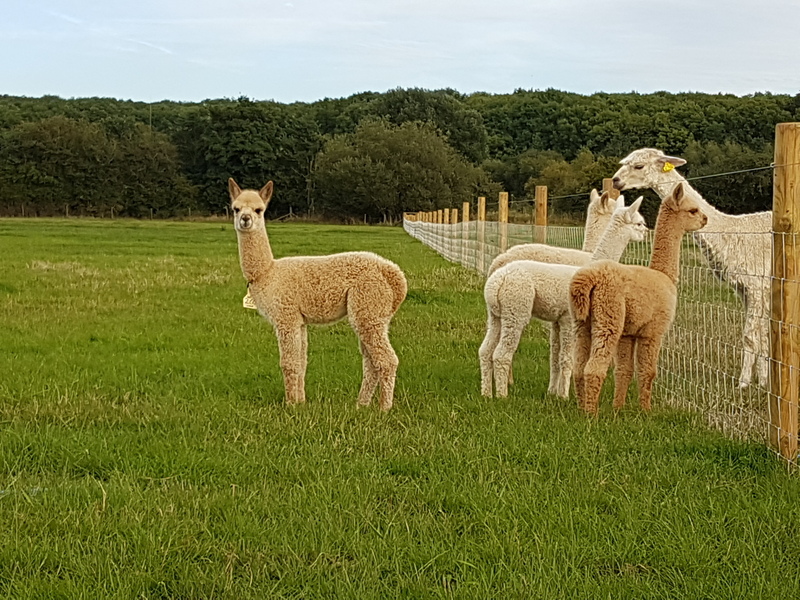 This is not a decision we have regretted for a single minute but it has meant we had a much reduced crop of cria in 2017, that said the overall quality and consistency has been staggering. In particular the colours have seen some huge leaps as we continue to use the Snowmass males such as Golden Legend, Roll of Honour and Puna Sky whilst adding in some new bloodlines in the shape of Wildfire (son of Windsong Valley Firedragon), Canute (son of Snowmass Royal Vision) and Veraison (son of Alpaca Stud Nyetimber). Exciting times at Alpaca Evolution!